The new cryoEMs have landed at Bio21 on Monday. I am sure most of you have been disrupted enough in your usage of the cafeteria to notice something was going to happen. 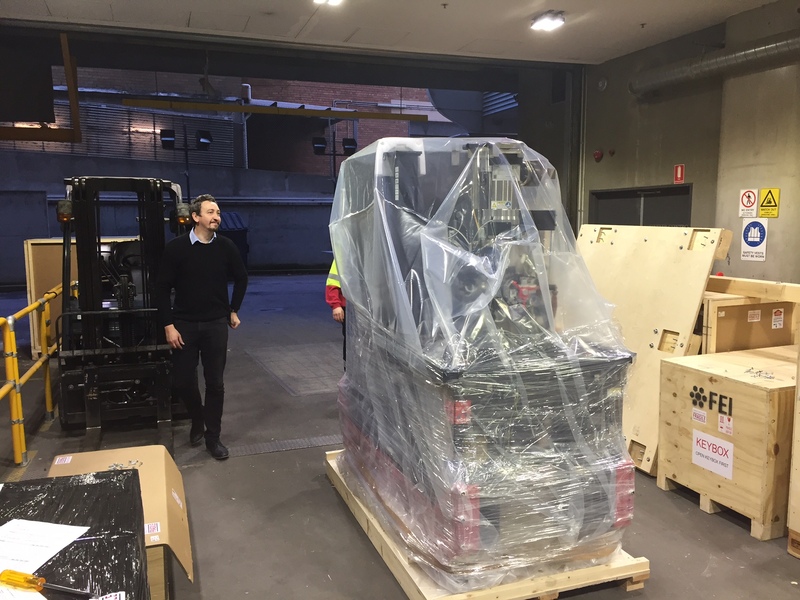 The reinforcement of the floor was necessary in order to transport the Talos Arctica (2 metric tons) and its little sister the Talos L120C from the delivery bay to the Advanced Microscopy Facility on the first floor. In total 3 trucks and 25 crates of equipment were delivered on Monday representing a very long day for the delivery company, the thermo fisher service engineers and the facility staff. There is still a lot to do but the microscopes are now in their resting place, at least for the next couple of years. The uncarting and installation will keep Ben and Jyoti, the two Thermo Fisher service engineers, busy for the next couple of month. The Talos Arctica is a 200kV cryoTEM with automated sample loading and the latest detection hardware with the Gatan K2 summit camera located behind a energy filter. Its little sister the Talos L120C is a 120kV microscope of the latest generation that will be used for sample screening, negative staining and standard biological TEM. Both of the microscopes are fully automated and remotely controlled, no sitting in the dark anymore. 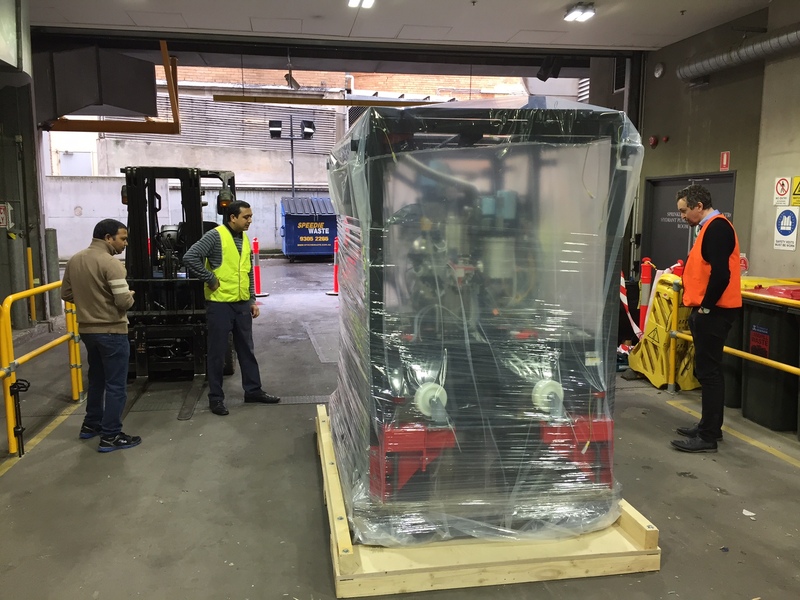 The Arctica is the second of its kind in Australia (the first one was installed in Woolongong last month) while the L120C is the first of its kind and one of the first world wide. They were both acquired on the success of a collaborative ARC LIEF grant led by Michael Parker last year. 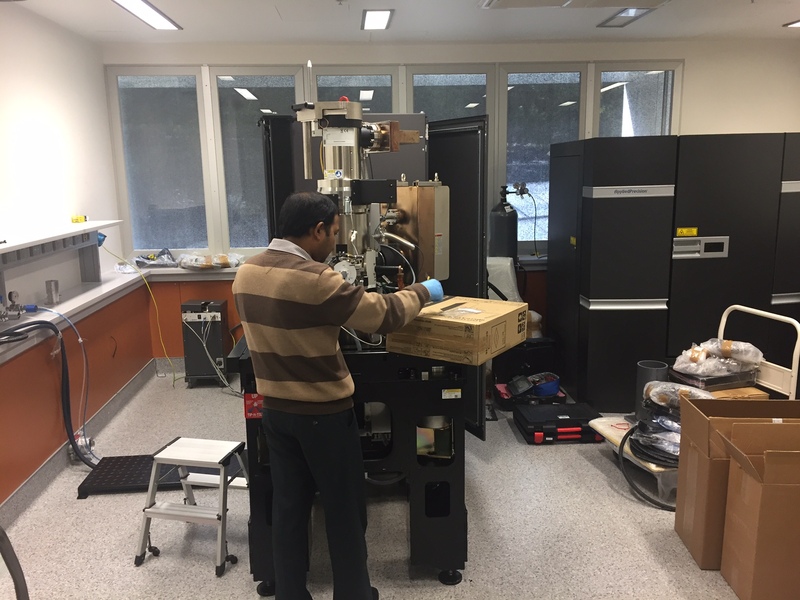 The academic partners of the grant are UoM, Monash, RMIT, WEHI, MCRI, the Peter Mac, the St Vincent, UNSW, Latrobe, Auckland, the Victor Chang in collaboration with our major industry partner CSL who was a major contributor to the purchase. As part of this grant Monash will also receive a Talos Arctica schedule to arrive at the end of September. 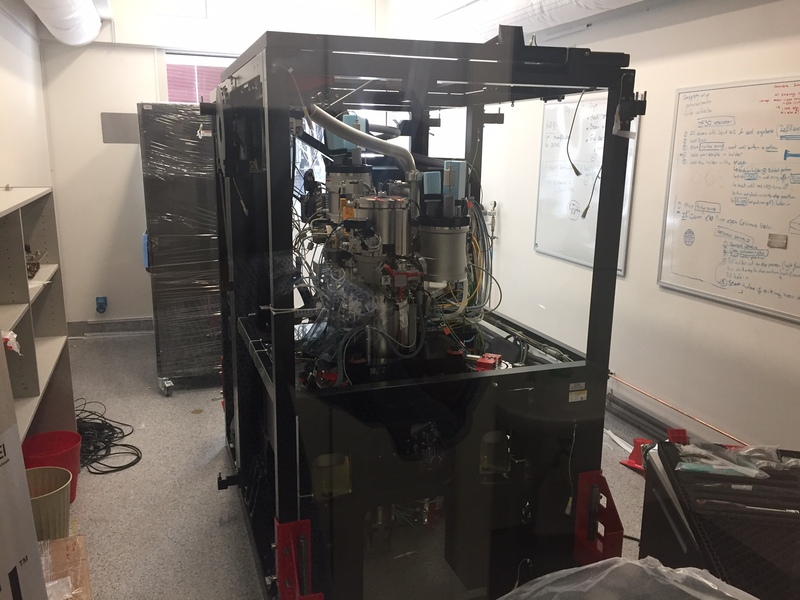 Both the Arctica and the L120C will bring the Advanced Microscopy Facility to world standard in structural biology cryoEM permitting to solve protein structures down to 3 Angstroms resolution.